Discagenda Puncher and Discagenda Board set. The Discagenda Board will hold an A5 paper firmly in place. 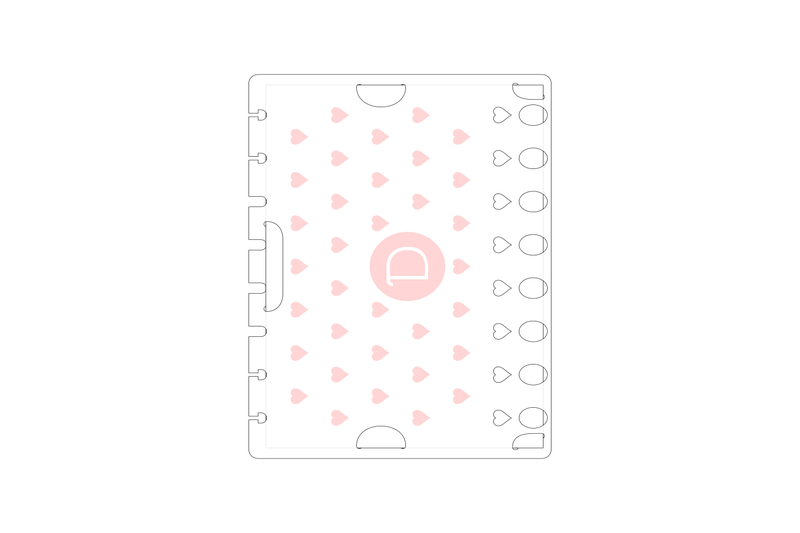 Simply slide the Discagenda Puncher along the edge and align the marking on the front end of the puncher with the pointed ends of the hollow heart shapes and punch away. Makes perfect discbound insert every single time. Take the puncher with you on the go. It's tiny and light weight! 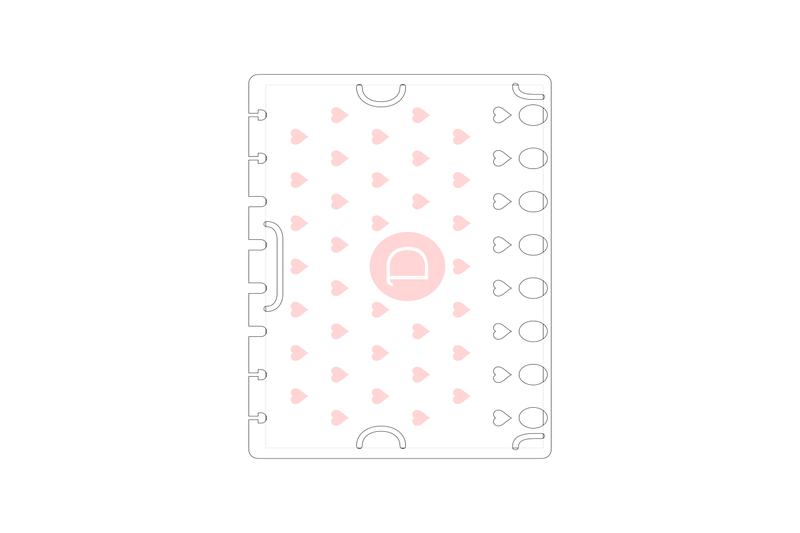 You can snap the Discagenda Board into any discbound planner larger than A5 size. Not for Dokibook 6-hole ring binder system. For Discagenda discbound system or other compatible discbound systems only. Maximum 2 sheets of 120gsm paper. To be used with paper only. 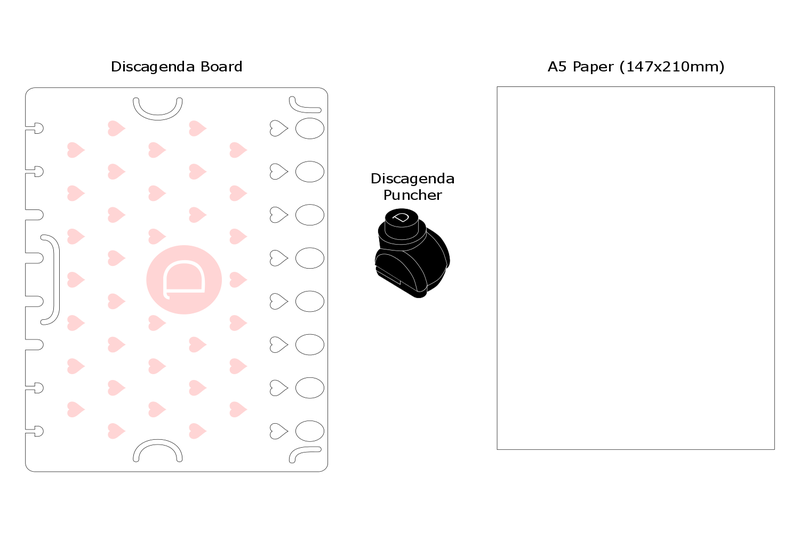 Step 1: You will need Discagenda Board, Discagenda Puncher and a piece of A5 (or smaller) paper (at least 80gsm, preferably 120gsm). Step 3: Use the Discagenda Board's paper holding clips to hold the paper in position. If paper is narrower than A5, slide the paper towards the right until the corner holding clip is stopping the paper from going further. 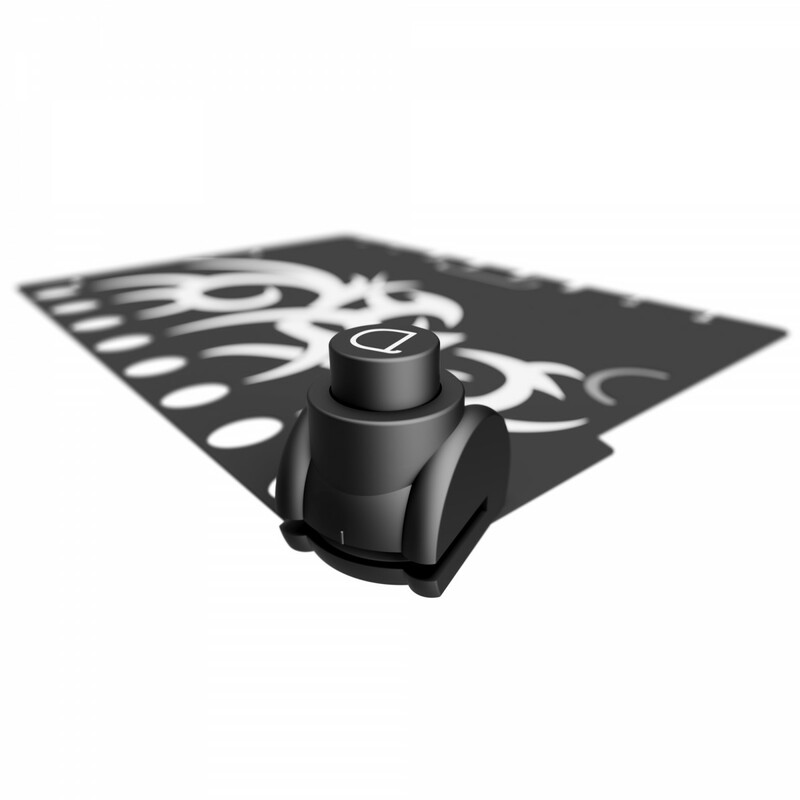 Step 4: Slip the Discagenda Board and paper inside the Discagenda Puncher's slit. 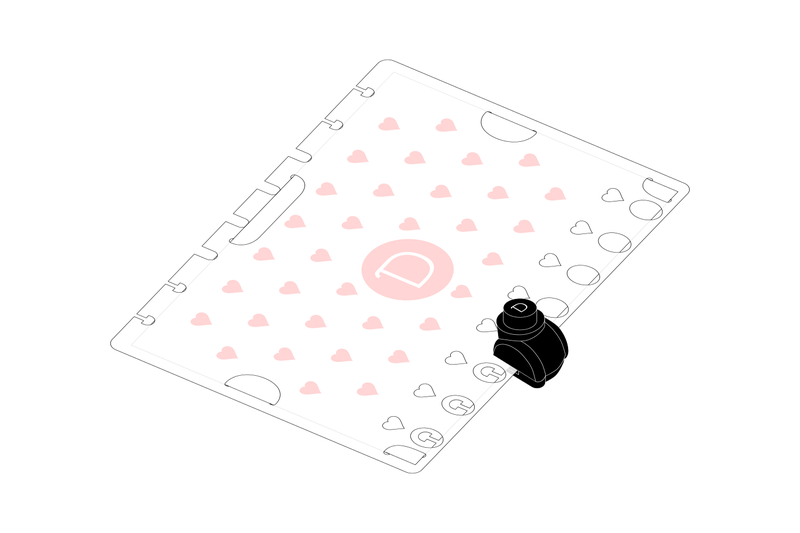 Slide the puncher along the Discagenda Board's edge until the position marker on the puncher aligns with the pointed end of the first heart shape. Press the button on the puncher to punch. Slide the puncher along the edge and move to the next heart shapes to continue punching until done.